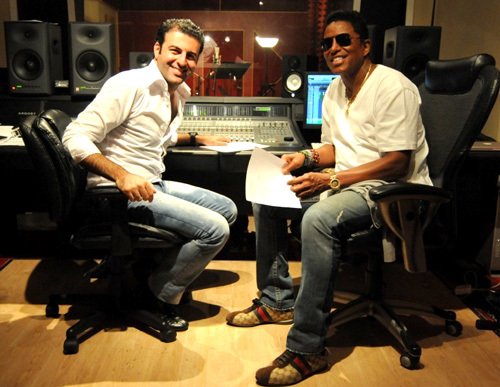 This week I published two Jermaine Jackson interviews within two days of one another, on two different continents. The first, published in the States, marked by Huffington Post 'comeback' after 15 months away. 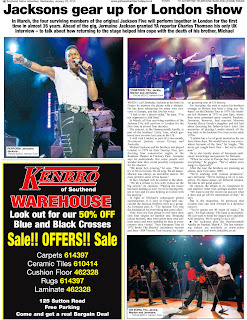 The second was Jermaine's only UK interview promoting the Jacksons' Unity Tour concerts. I spoke to Jermaine twice last week by phone. The first time I caught him - on Monday, January 14th - he was just about to go on live TV in France to promote his solo tour with David Serero, which was what I had called to speak about. The second time - the following morning - I called him at his hotel for our exclusive chat about the Unity Tour. By that point he had damaged his voice. He'd seen a doctor earlier that morning and been told not to speak loudly (I'm not sure I've ever heard Jermaine speak loudly - but he was even quieter than usual). He cancelled other interviews later that day to rest his vocal chords. The Huffington Post article, published yesterday, featured interviews with Jermaine and his collaborator, French opera singer David Serero, about their joint album and French tour. The pair are currently on the road together performing 'You Are Not Alone: The Musical'. Based on Jermaine's memoirs, he tells stories about his family's years in and out of the spotlight, showing never-before-seen photographs, a well as performing songs from the family's enviable catalogue of hits. Click here to read the article. David Serero and Jermaine Jackson in the studio recording their new album, 'I Wish You Love'. 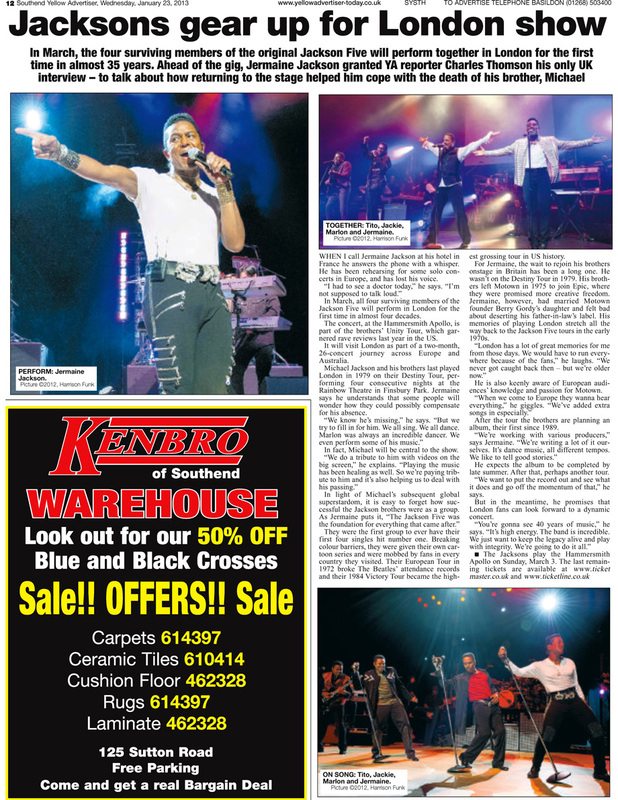 The second article, published in the UK today, is the first interview any of the Jacksons have given this year to promote the European leg of their Unity Tour. Jermaine spoke about his memories of London, how the show was 'healing' his brothers, what fans could expect from the concerts and what progress had been made on the group's new album. It was published in the Yellow Advertiser newspaper series - one of the largest regional newspapers in Britain, featuring 10 different editions with a combined readership of almost half a million people in and around London. It went into half the editions this week and will go into the other half next week. Here's how it looked on the page. Thanks very much to Harrison Funk for supplying us with the pictures. If you're finding that print too difficult to read, you can read the online version by clicking here.